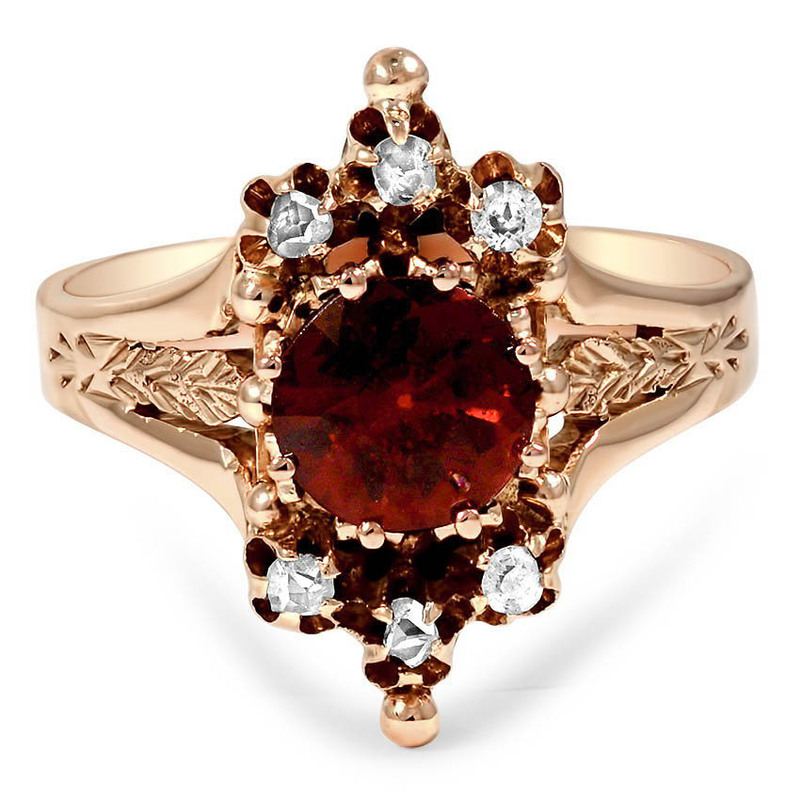 This 14K rose gold ring from the Victorian era showcases an incredible deep red garnet in an ornate setting with six rose cut diamond accents. Delicately engraved vine details down the shoulders add to the regal look of this 1880’s piece (approx. 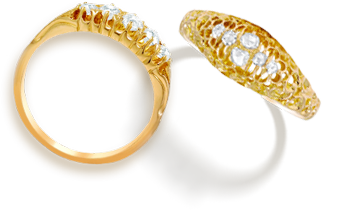 0.03 total carat weight).